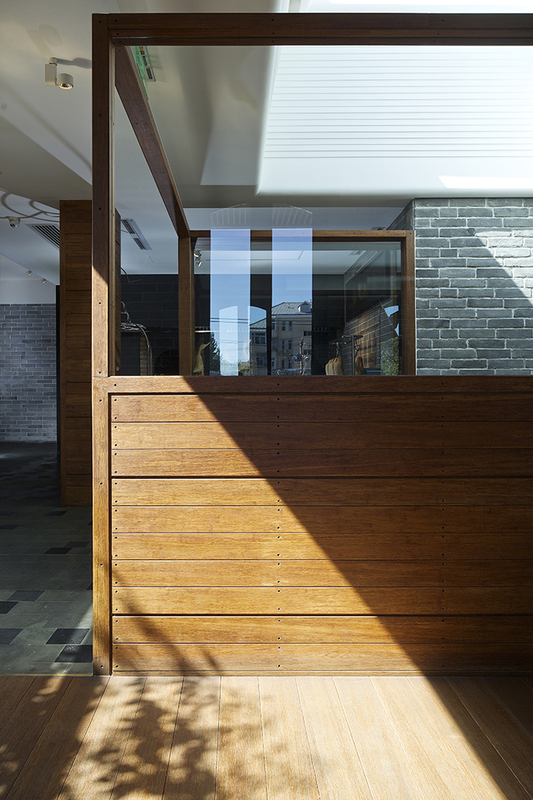 TanzoSpace Design Office designed this stunning roast duck restaurant located in Xindong Road, Sanlitun, Chaoyang District, Beijing, in 2017. Take a look at the complete story after the jump. Today, modern society is complex and in a constant state of change. We believe that people need to take breaks sometimes and revisit timeless classics. Sheng Yong Xing has a history of over 10 years, and its concentration and inheritance endows the brand with extraordinary culture. 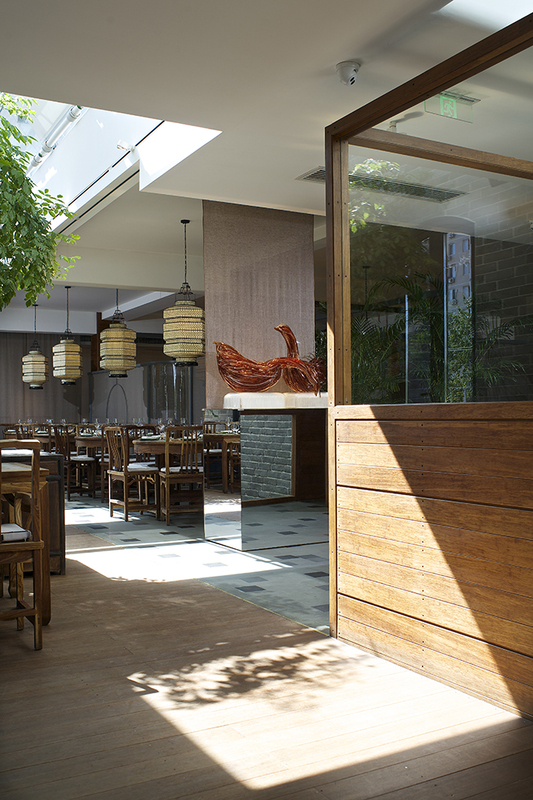 Sheng Yong Xing, the new roast duck restaurant is located at the Xindong Rd intersection, East Beijing’s Sanlitun area. 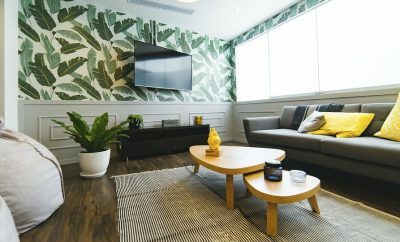 Embraced by the busy embassy district of the capital city of China, it is a small oasis found amidst the hustle and bustle that harkens back to a much simpler and purer time. 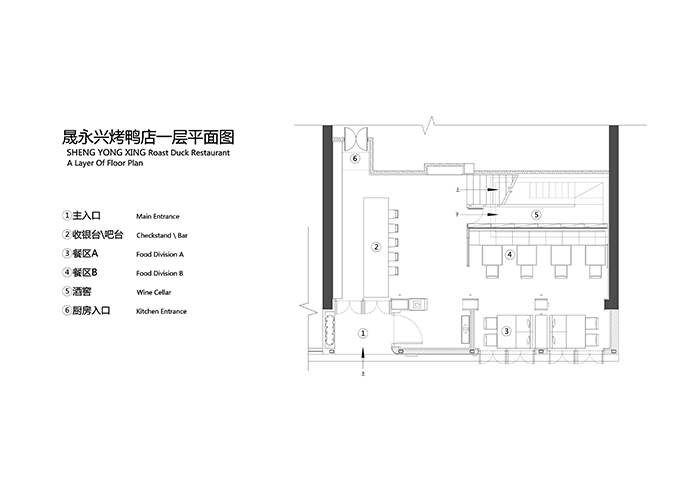 The current Sheng Yong Xing in Sanlitun is developed from three small restaurants with complicated structures. 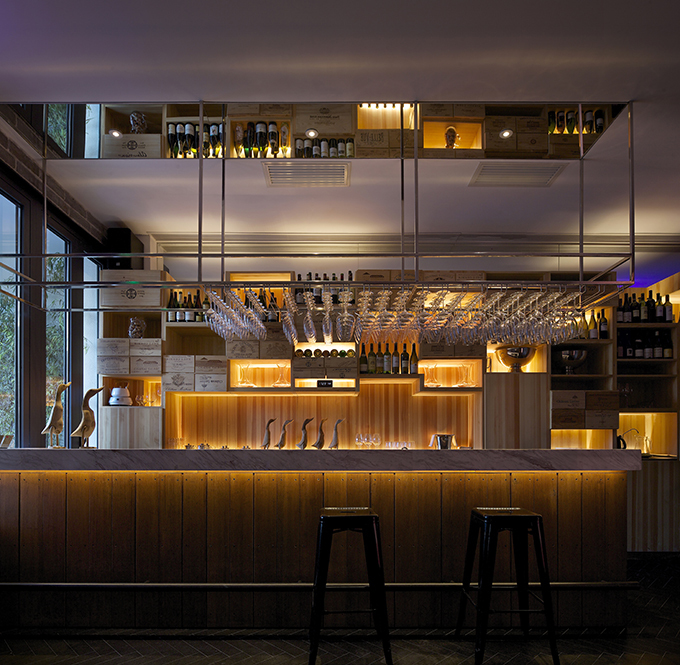 The designer carried on the renovation based on the previous restaurants, thus the original architectural space is given a new life. 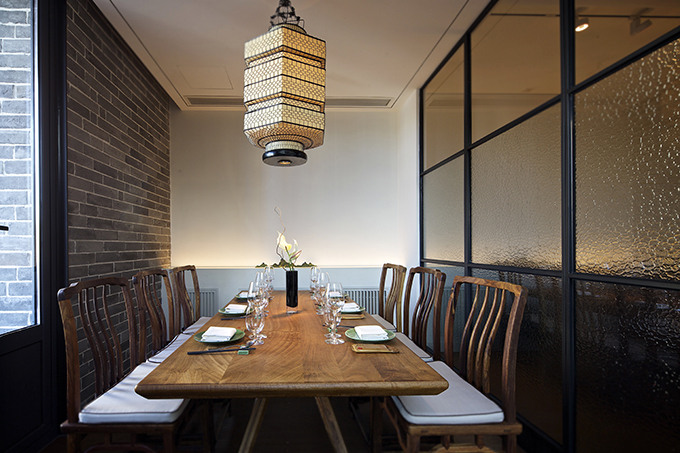 In the restaurant, you can feel the historical culture of China perfectly combined with the western elements. The outer walls are white while elegant, like a scroll of ancient painting which hasn’t been opened in the downtown, while inside the wall is classic Chinese style. 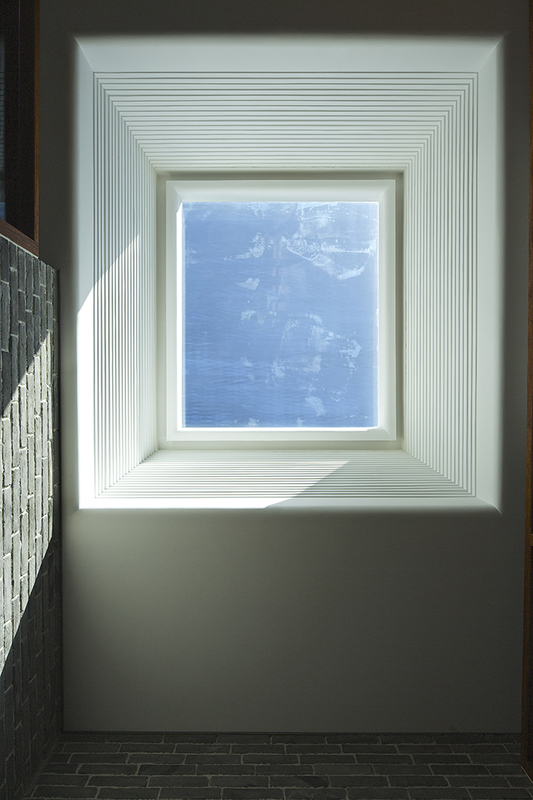 Those walls make people feel quite peaceful, leaving an impression of mystery and simplicity. 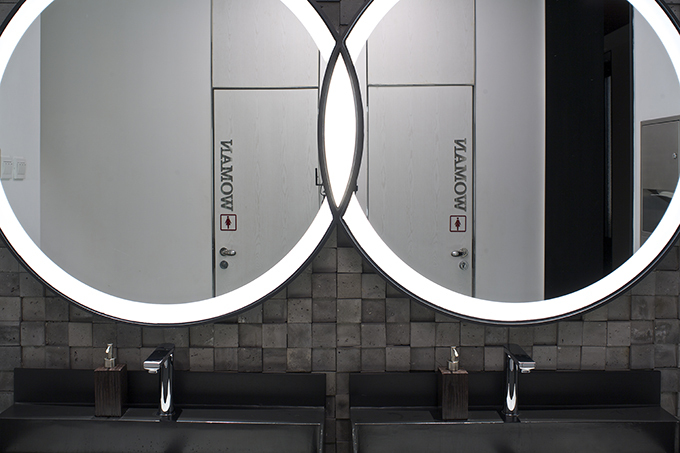 When the soft lights fall on the walls, customers feel intoxicated. 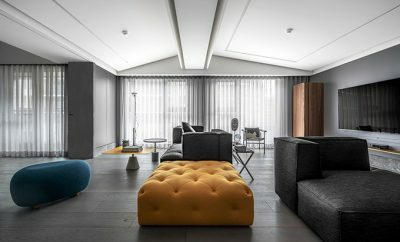 Where the space is bright, the building appears to be more open and brings the guests to a lively and cheerful mood; where the space is dark, people may feel quite relaxed. 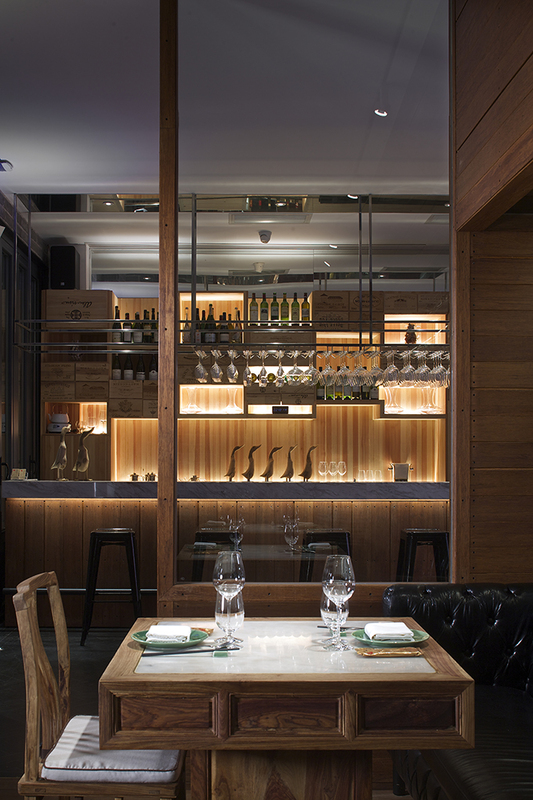 On the first floor, there is an antique dining area as well as a high-end full-service bar. 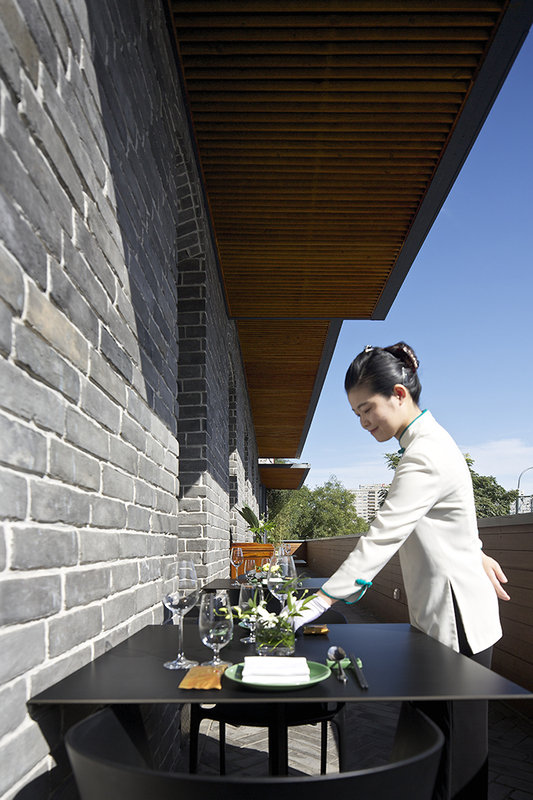 The sommelier works for Park Hyatt Hotel, and is the first female wine taster in China. 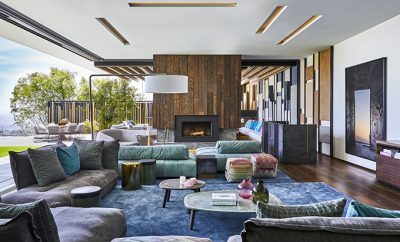 This time in Sanlitun, Sheng Yong Xing Roast Duck Restaurant introduced the hotel catering system into the social catering system and customized a distinctive lifestyle for modern urbanites. 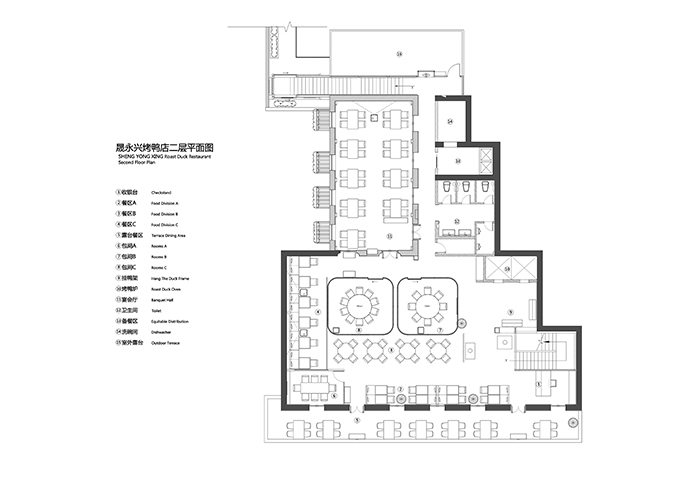 “The service in Sheng Yong Xing can be compared to the standard of five-star hotels. 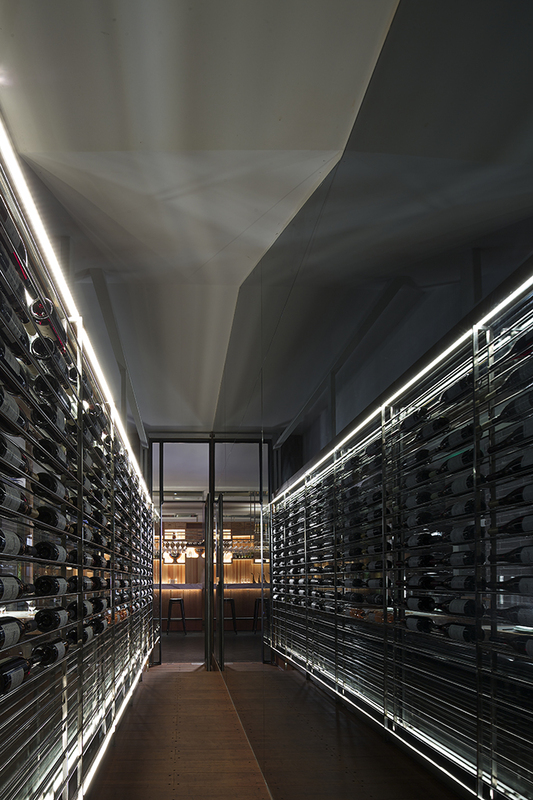 Among all the branches in Beijing, this restaurant’s wine cellar is the largest one, with over 100 types of affordable wine. 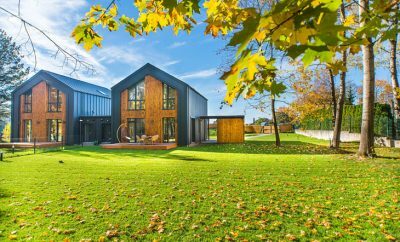 We hope to attract more customers by not only roast ducks, but also wine,” said Wang Daquan, the designer. 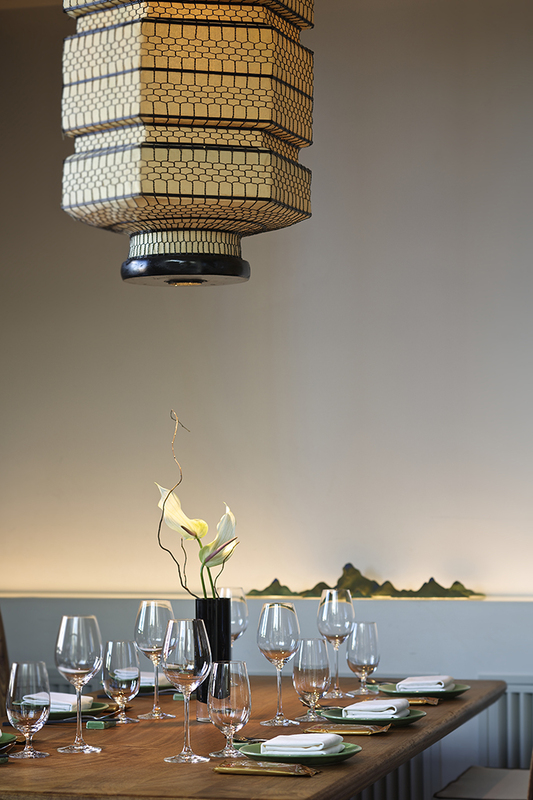 The tableware at the restaurant is a vivid interpretation of the philosophy of life that has been rooted in this romantic country for centuries: Eating in an exquisite way is a respect for life. 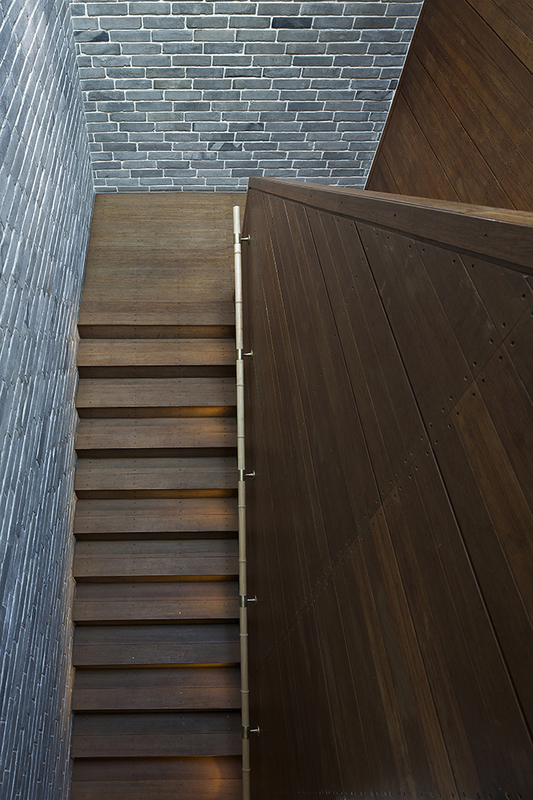 If you go up along the narrow and deep stairs, you can feel the delicate touches that the wood pulp stairs left, and your right hand can brush away the texture of the ancient bricks of the Great Wall. Maybe we have missed some time, or maybe we have forgotten some tradition, but in Sheng Yong Xing, you will feel that the ancient culture is not far away. 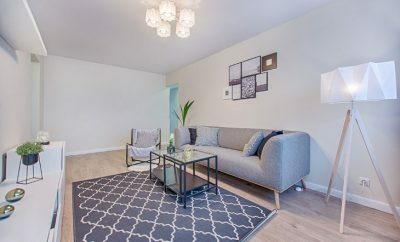 When you step on the second floor, you will feel you are welcomed to another different place. The antique gray and black floor tiles make people go back to the old times, and all the tables and chairs in the restaurant make the customers feel like they are the noble ladies and gentlemen in the Republican period of old China. 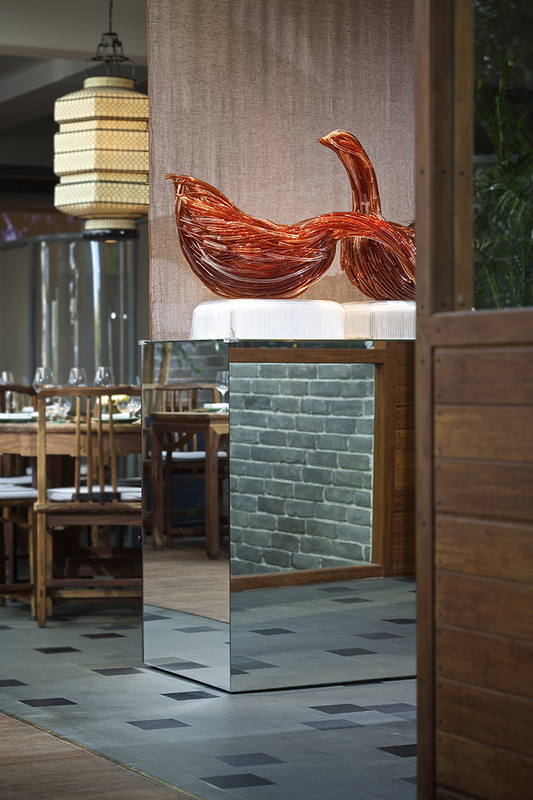 The color and pattern of the artworks in the restaurant are extremely intricate and tasteful. 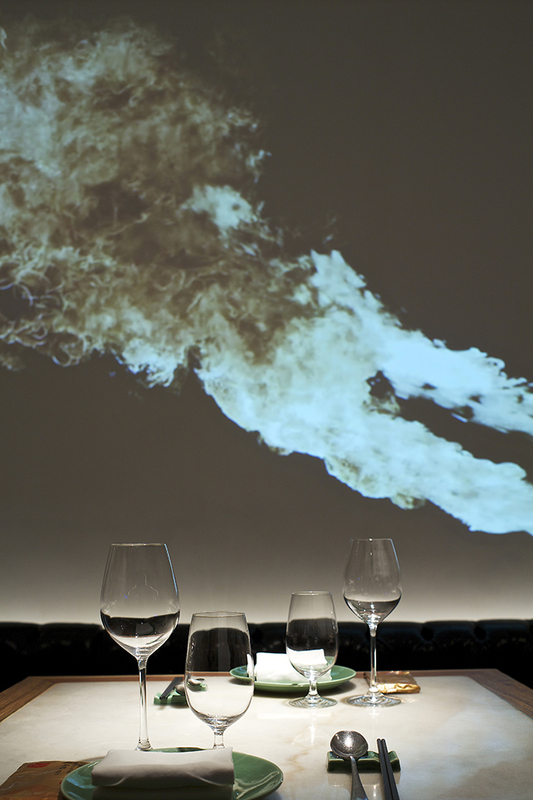 Harmonizing the element of abstract forms, and “water” and “fire” in the Five Elements, a few simple strokes outline the restaurant’s aesthetic feeling. 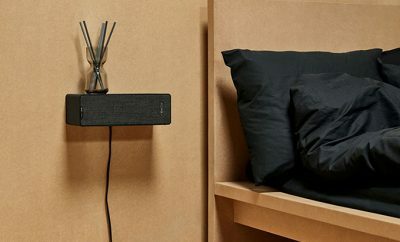 “In my eyes, good designs are invisible, which means we don’t overemphasize anything,” said the designer. As the time goes by, the number of the artworks will be increasing. As a result, every time when guests come here, they will have different surprises and are willing to come again. The restaurant gives them a sense of belonging,” said Wang. 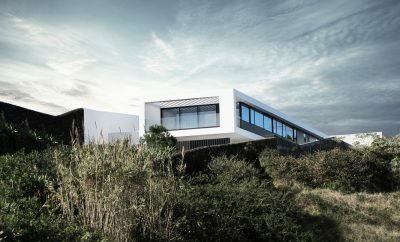 The design materials on the second floor are all from nature. 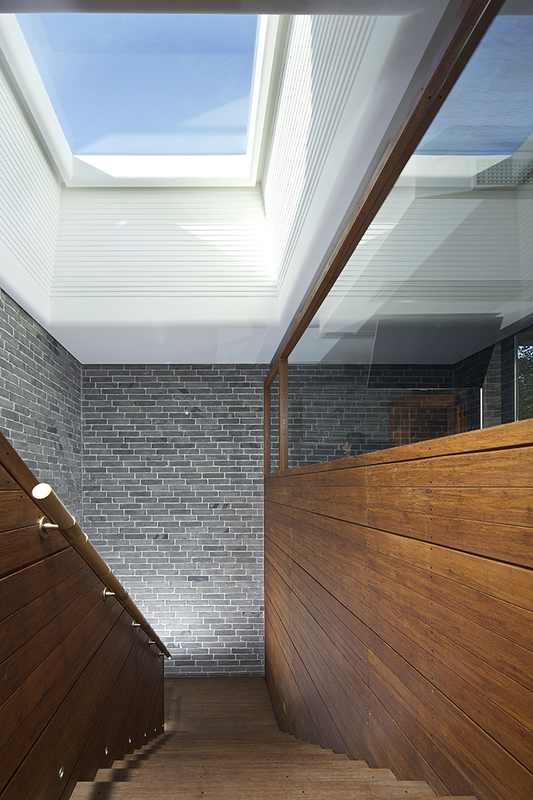 By opening three skylights to the building, the natural landscape is introduced into the interior to realize the displacement effect of different spaces. 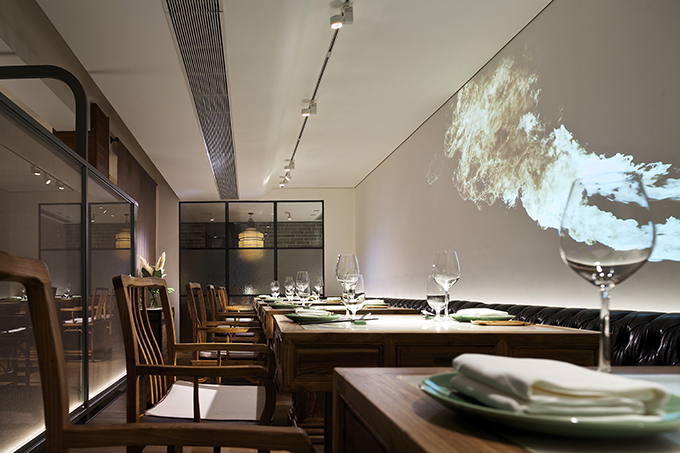 The two private rooms in the restaurant are made open. Their structures are two big frameworks of traditional Chinese lanterns, and the light decorations are hand made with iron wire, carrying the soul of the culture in North China. “When I was young, I always ate at the canteen of my father’s company, where there were no private rooms available, and no obvious social hierarchy. The space was open, or it was simply separated by some boards, which means we could hear other tables yet couldn’t see them. 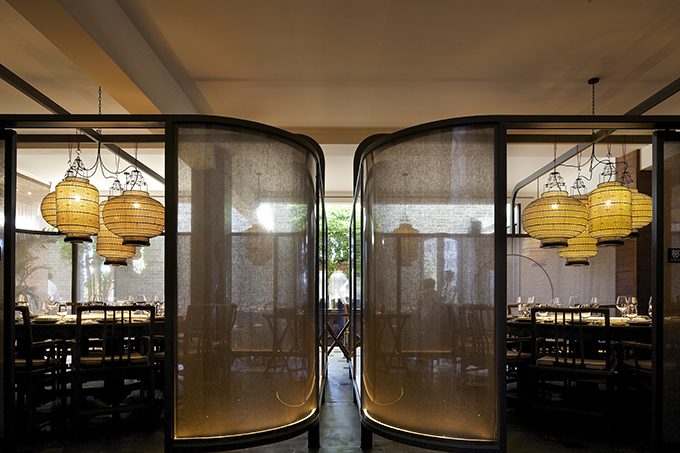 The experience left me deep impression, so that I designed two big ‘lanterns’ for this restaurant, ” Wang Daquan said. The flowers are beautifully arranged by the florist according to the characteristics of different seasons. 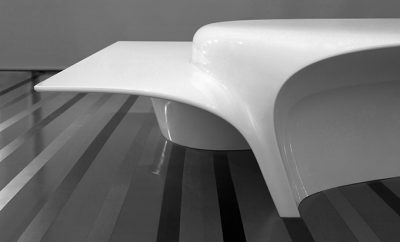 Walking along the corridor, you are welcomed to another dining area, where you can see the flowers of shadows blossom on the white walls. 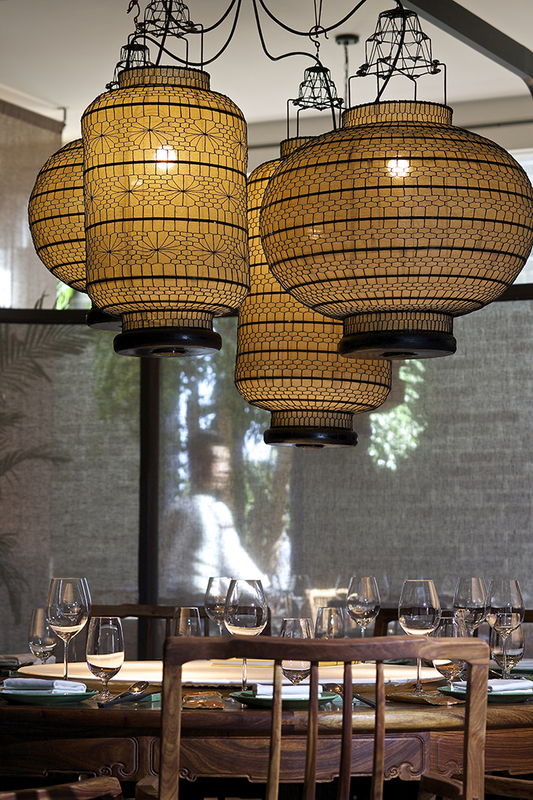 These seemingly ordinary but with strong-Chinese aesthetic details make the dining time here full of artistic poetic sentiment. 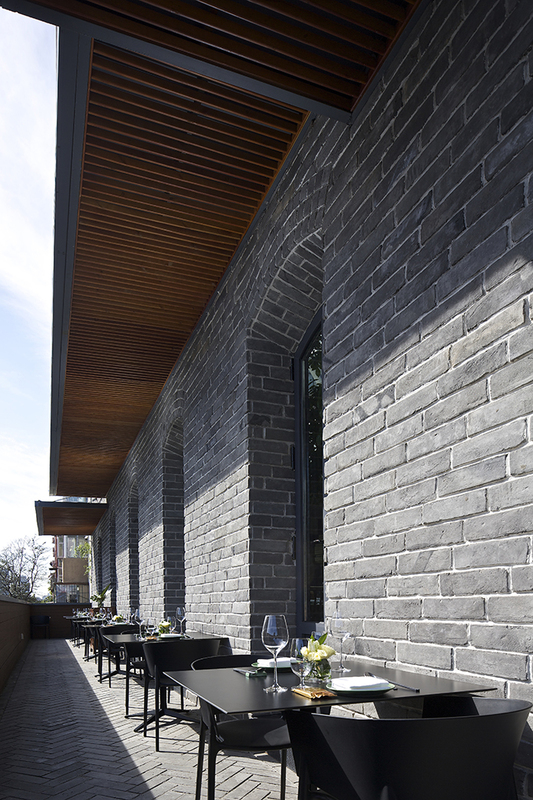 There is also a large balcony in the restaurant where you can enjoy the artistic view of Sheng Yong Xing. Beijing roast duck is undoubtedly a unique name card of Beijing. When foreigns come to Beijing, they will firstly visit the Great Wall, the Forbidden City, the hutongs and have a taste of roast duck. 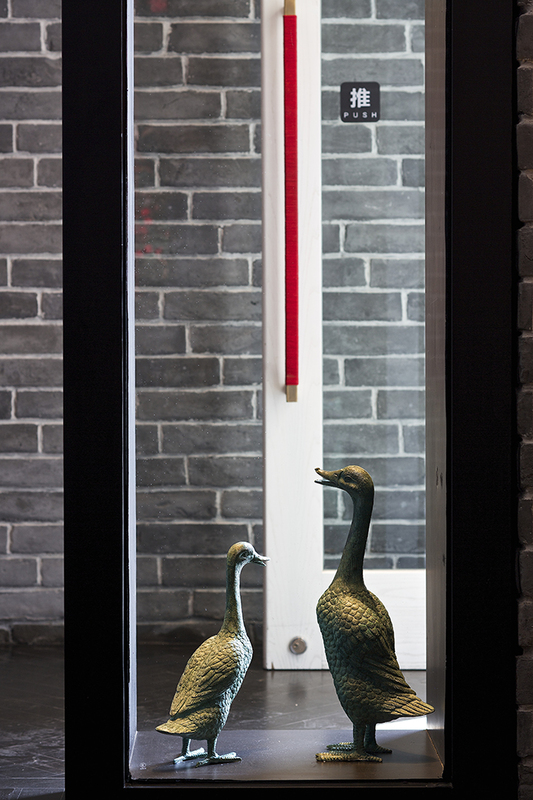 So, Sheng Yong Xing Roast Duck Restaurant in Sanlitun can be viewed as a window of Chinese cuisine culture, the designer noted. 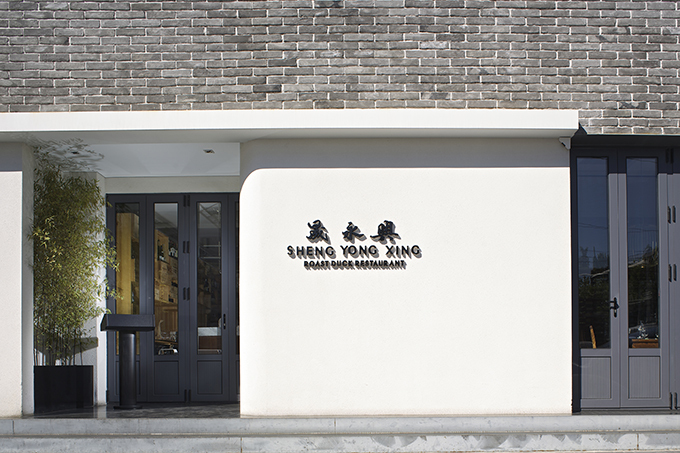 Through its designs, Sheng Yong Xing in Sanlitun creates a cultural atmosphere that everyone can enjoy, making the restaurant a choice with distinctive features for high-end personages.